Tue., May 8, 2018, 2:06 p.m. Following President Donald Trump’s scrapping of the Iran nuclear deal Tuesday and his imposition of what he called “powerful” sanctions, Boeing’s prospective $9.5 billion jet sale to Iran is effectively dead for the foreseeable future. The potential sales into Iran had consisted of an order from Iran Air for 50 single-aisle 737 MAX 8s, 15 large current model 777-300ER widebody jets and 15 next generation 777-9X widebodies, plus an order from Iran Aseman Airlines for an additional 30 MAXs. At list prices, those are valued at just shy of $20 billion. However, according to market pricing data from aircraft valuation consultancy Avitas, the true value after standard industry discounts is about $9.5 billion. While the 777 and 777X orders in particular would have been very welcome to help sustain the 777 production rate in Everett and to bolster prospects for the new 777X, Boeing chairman and chief executive Dennis Muilenburg said last month that production plans would be unfazed if the Iran deal were killed. 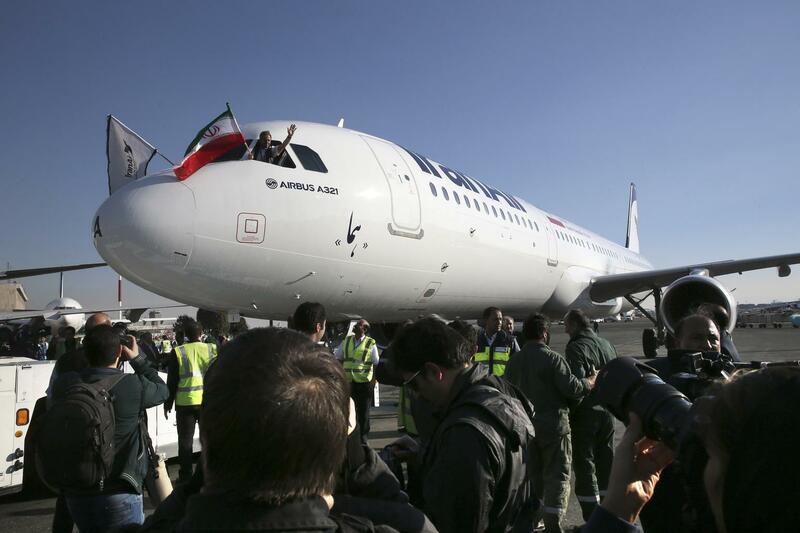 In contrast, rival European jetmaker Airbus, which won orders for 98 aircraft worth about $8.4 billion from Iran, formally added those sales to its order book and rushed to deliver the first airplanes as soon as it was legal. Sign up for Evening BriefDelivered weeknights, this email newsletter gives you a quick recap of the day’s top stories and need-to-know news, as well as intriguing photos and topics to spark conversation as you wind down from your day. U.S. sanctions will probably also bar further deliveries of Airbus planes to Iran because all its jets contain a significant amount of U.S. parts, so they are covered by the sanctions. Trump said that any nation breaking the U.S. “nuclear sanctions” would be punished. Aboulafia said Iran will likely be forced to fall back again on efforts to acquire newish aircraft through expensive third-party transfers from holding companies in semi-neutral countries. Some of the larger airlines that have ordered the new model 777X are seeking deferrals of the initial deliveries and he said it now looks like it will take a long time for the 777X to get close to the 777 production rate from a couple of years back of 100 airplanes per year. The slow introduction of the 777X will also extend the slots that need to be filled with the current model 777 and so, despite Muilenburg’s assurances, Teal Group now projects 777 production going even lower, from 3.5 deliveries per month now down to 3 per month. Even it the Iran sales had happened, he said, it wouldn’t have significantly changed that outlook. Published: May 8, 2018, 2:06 p.m.